I don’t do a lot of webinars—but I will be giving one live next week—Thursday, August 21, from 2-3:30PM Eastern Daylight Time--on the subject of Building Trust in Sales Conversations. The session is being hosted by the good people at RainToday, a powerful site focused on marketing and business development for professional services; the cost is $90, you can sign up here at RainToday.com. Why the topic Building Trust in Sales Conversations? Because it tackles a lot of myths and misconceptions about selling. For one, most of us think that selling draws down on trust. Rightly done, however, sales interactions are one of the best situations in which to create trust. For another, trust is largely created (in intangible services or complex sales) not by branding, eloquence, speeches or credentials, but by personal interactions. Conversations. Sales conversations, about what people need and want. 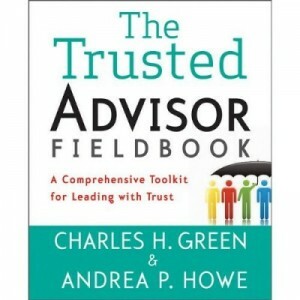 Finally, many people think of trust-based sales conversations as things that can happen only after a long period of time has allowed trust to develop and grow. The truth is, it is in sales conversations that the trust grows. Just like other types of human relationships, trust doesn’t happen before real, honest conversations—it is created in them. 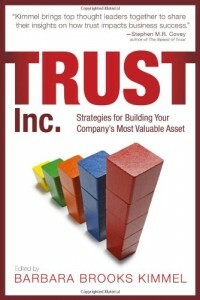 Trust doesn’t enable selling; selling enables trust. This means trust can be created far more rapidly than we oftne think. Understanding how to create trust in a sales conversation is a great source of freedom; trust doesn’t take time, it isn’t a business process, it doesn’t come about from following metrics, and it isn’t a business process. It is something each of us can do, personally, far better than we think. Join me in a conversation (well, a webinar anyway) about this exciting topic. Sign up here for How to Build Trust in Sales Conversations. I look forward to the time together. Mal Salter's book on Enron is the old school way to think about business--with an emphasis on commonsense.